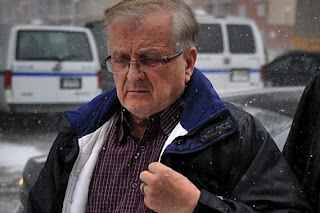 Quebec: A Quebec Roman Catholic priest was arrested again Monday and charged with three new counts of sexual assault on two boys who attended a private Catholic school in the 1970s. Raymond-Marie Lavoie, 70, was a teacher at the Seminaire Sainte-Alphonse, in Sainte-Anne-de-Beaupre, just outside Quebec City, when the assaults are alleged to have taken place. The charges laid Monday bring the total of alleged young male victims to 11, police said. Lavoie was first arrested in December 2009 and faces a series of charges of sexual assault, indecent assault and gross indecency.